The low-fare-high-fee airline Ryanair has announced today that it will be launching a flight to Edinburgh from the City of Derry Airport from October this year. The airline has said the service will operate five times a week as part of Ryanair’s Winter 2018 schedule, Ryanair’s Eimear Ryan said, “Our new City of Derry Airport route to Edinburgh commences in October, operating five times weekly as part of our Winter 2018 schedule." 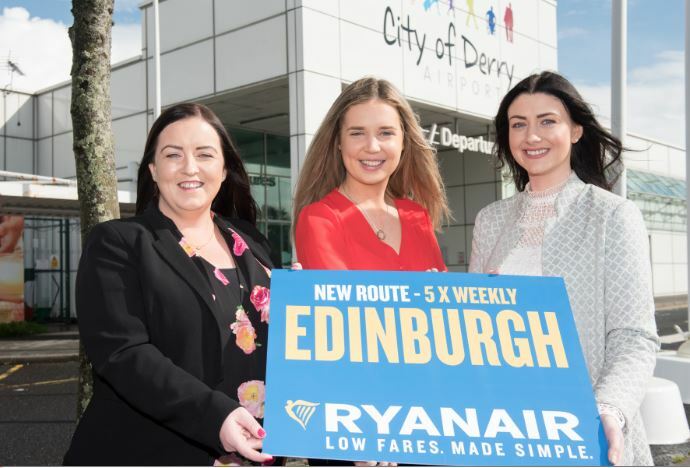 Charlene Shongo, Airport Manager at City of Derry Airport, said, “We are absolutely delighted to launch Ryanair’s new service to Edinburgh. The charming city of Edinburgh has so much to offer travellers, from romantic getaways, family trips or a weekend break with friends. The new Ryanair service to Edinburgh will operate five times per week and will commence on 28th October. Flights are on sale now with fares starting from as little as £9.99 one way. 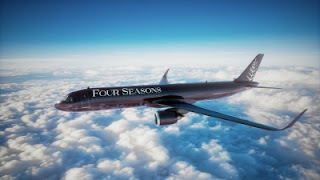 As well as offering city breaks, this new route will be of huge benefit for those who travel to Scotland to visit family and friends, for studying or sporting events throughout the year”.